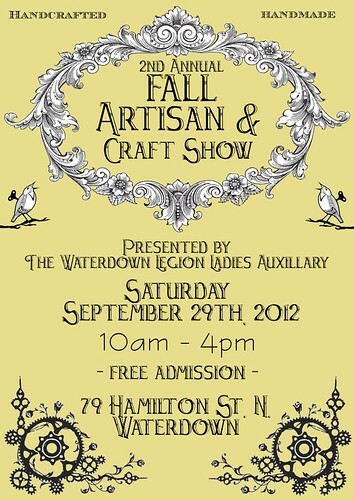 Tomorrow is the Waterdown Artisan and Craft Show. I'm excited for this Fall craft show. I like indoor craft shows where I can meet other craft vendors and talk to a different crowd of customers. It's always really interesting and the atmosphere is usually pretty casual and fun. 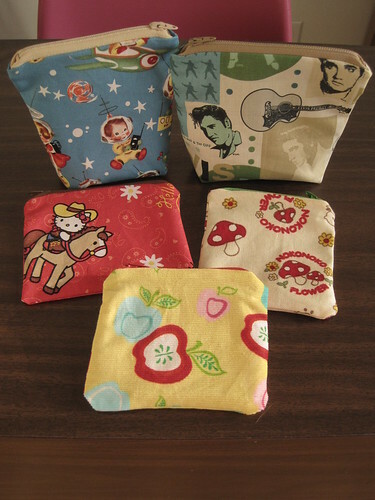 I made up some new pouches and kitty kickers for this show since my inventory was getting pretty low. I went through one of my many scrap bins to find fabric to use. I had fun pulling out some fabric that I haven't used in years. 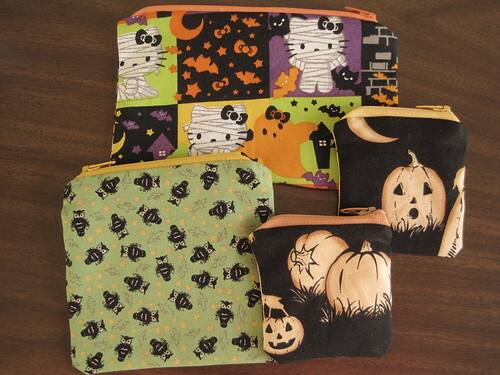 I made up a few Halloween pouches. Next on my to-do list is to finish up some new pillowcases for the October Art Crawl. 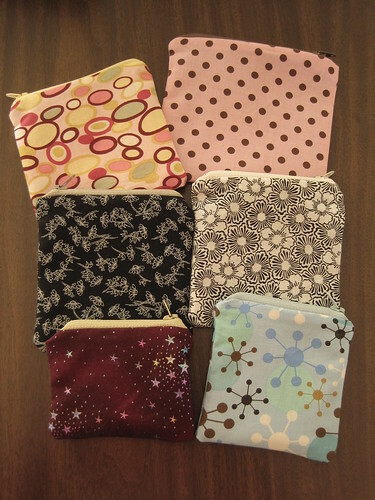 I had requests for certain character fabrics so I want to make sure I have a good selection for that show. 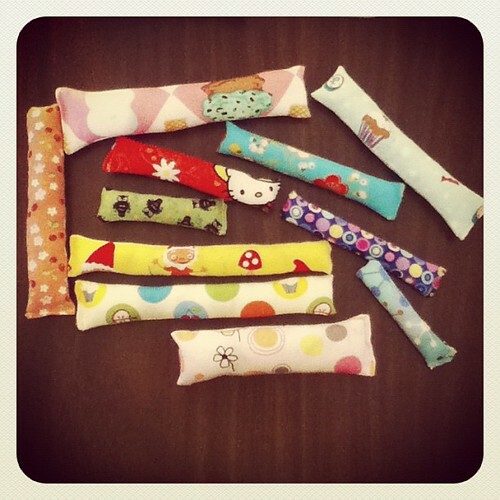 Cute items! 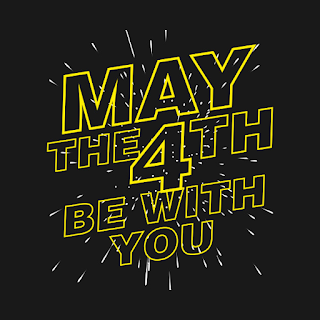 Good luck at the craft show! I'd love to do one of those sometime. The Hallowe'en pouches are so cute! I love the Hello Kitty one!